This year I finally started getting out some concept art for the large roster of characters. 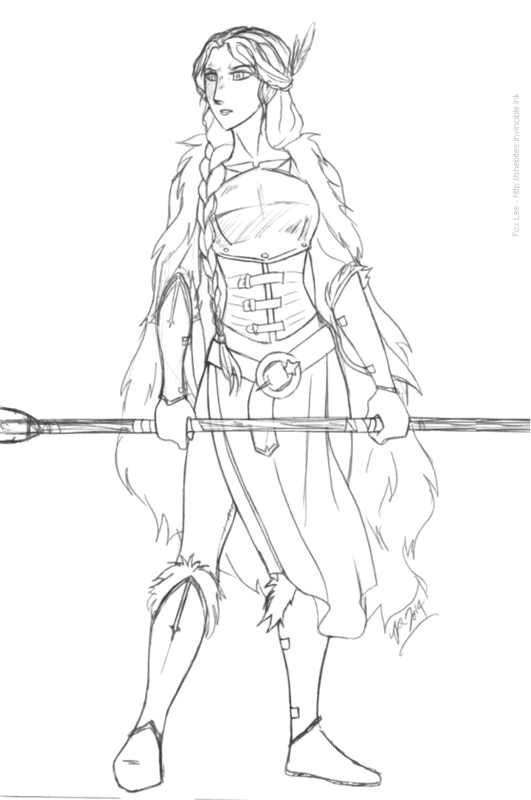 This one is Isolde (it should really be Yseult, but I wussed out and chose the one I thought people would be able to pronounce), the proud and level-headed leader of the "Snowfeather Clan" highland barbarians, and a pre-promote griffon rider. She's a sort of counterpart to Branagh - the icy, hypercompetent lady-of-war to Branagh's good-natured drunken doofus - proving that not everybody wearing a skirt is a big hairy lout.